Takumi Seino, japanese guitarist, has performed and recorded with diverse acts including his own works on VOS records (Japan), Priority - Musea records (France), Next Order - LoLo Records (USA), Six North - Musea records (France), Ryo Hashizume Group - Hao records (USA), PRAED and TAKUMI SEINO - GPS Records (Japan). 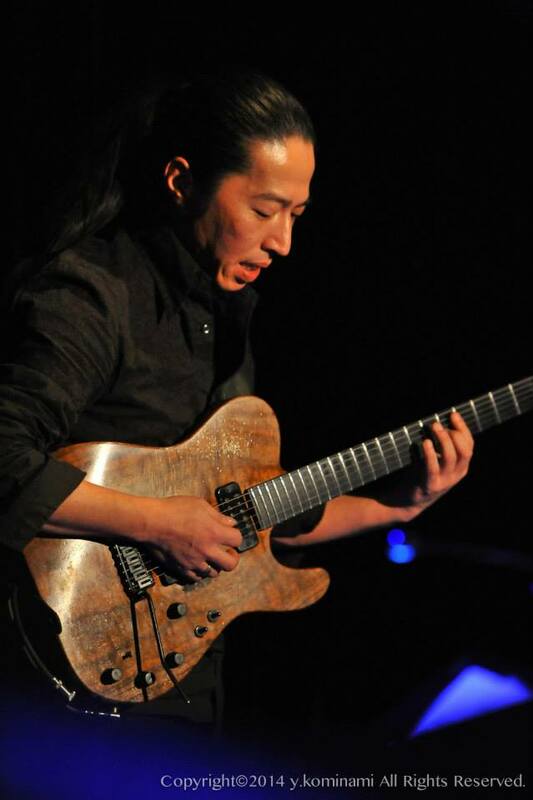 As improvising musician He has been working with many talented artists all over the world. Also, acted a lot of improvised solo performances. His unique expression is so colorful that people often says "pictorial". 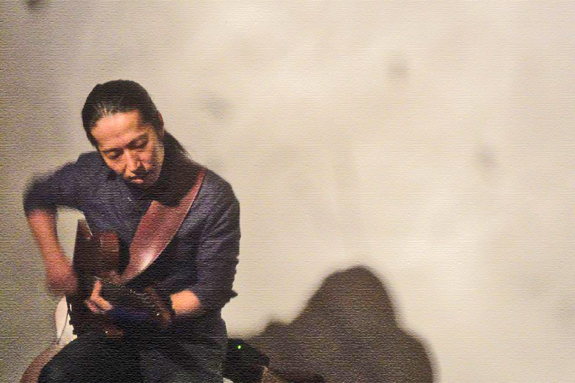 He has appeared on over 50 CD releases on the labels in the U.S.A., Europe and Japan. 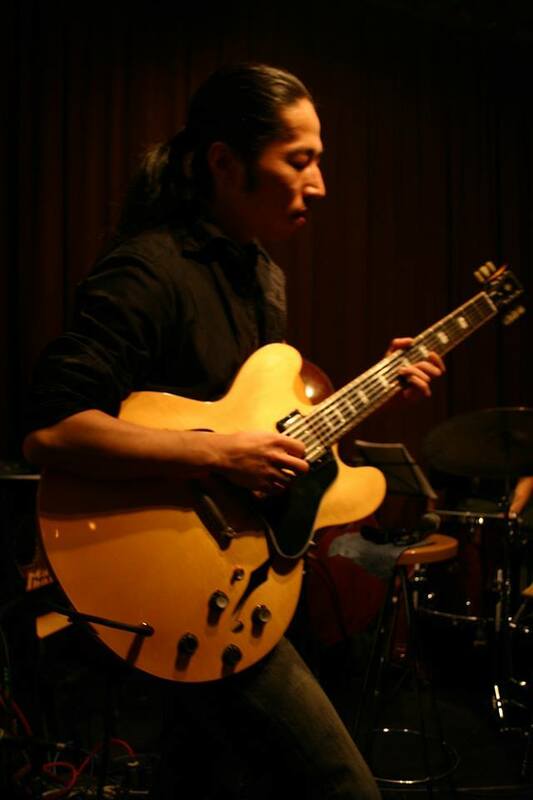 Takumi graduated from the Berklee College of Music in 1996. 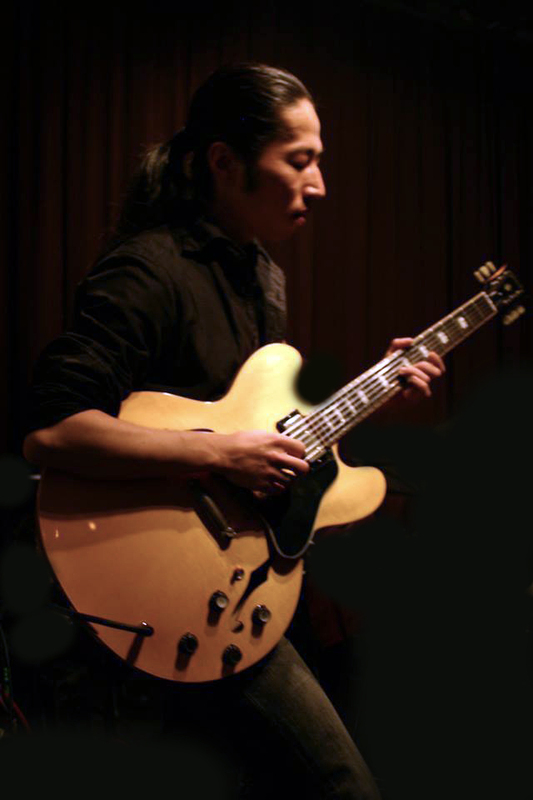 He was selected as a guitarist for the Berklee College of Music All Star Band and performed at the 23rd Annual IAJE International Conference in January 1996 in Atlanta, Georgia. At that time, he was awarded by IAJE a Special Citation for Outstanding Musicianship. 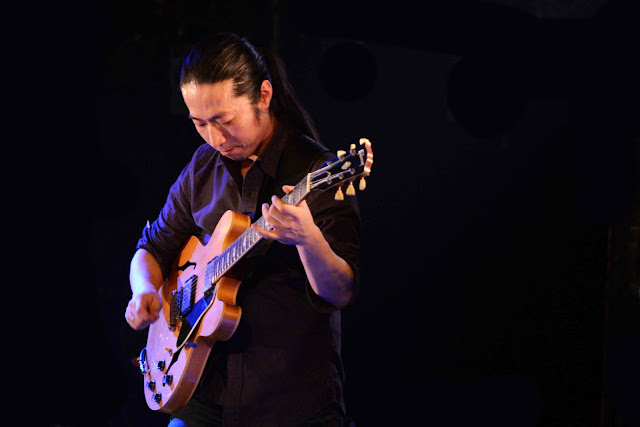 He was also named best guitarist at the YAMAHA competition in Osaka, Japan 1985. 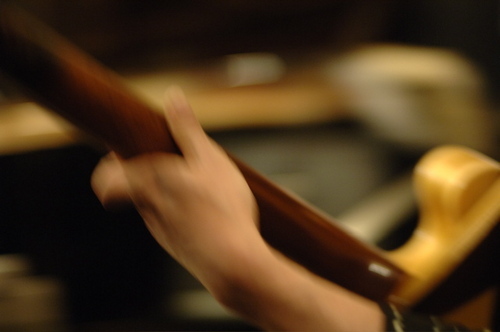 Can you describe a sound experience that you believe contributed to your becoming a musician? I still vividly remember the moment I touched the guitar for the first time in my life. it was a nylon strings classical guitar at the music class of a junior high school. I was 12 years old. Within minutes my heart was stolen. The sound of strings and the shape of the instrument were the overwhelming. I've been falling in love with a guitar since then. What do you recall about your playing learning process? 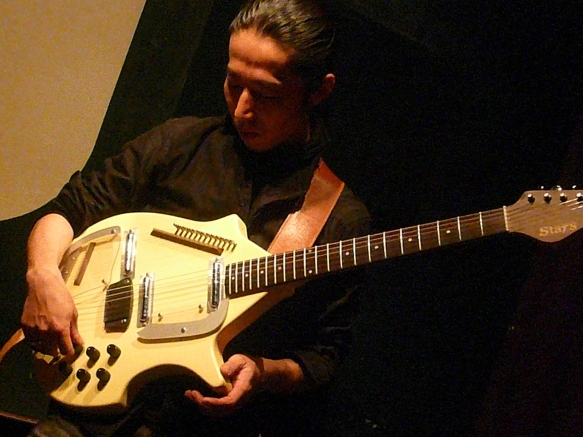 In the first years I often played guitar freely along the radio or records. I did it just for a fun. I didn't even realize that I was improvising. But this experience made my foundation. November Steps by Toru Takemitsu. What is your relationship with other art disciplines? I often get an inspiration from the other artworks. Especially from what I read. Also I always love to collaborate with artists in the other fields. Where are your roots? What are your secret influences? Before I start a guitar, my first dream was to become a painter. I've been taking lessons from one great painter. Maybe I was not so bad in a technique but I couldn't find a way to express myself through a painting. I couldn't catch the secret. It was a huge desperation to me. Painting became almost a pain. But this experience helped me a lot in music. I don't want to repeat the same mistake. What would you enjoy most in an art work? An art is a food for the mind. If I need a food I wish to have a good one. It depends on how hungry I am. Sometimes I want a little sweets and the next day I may need heavy foods. I enjoy the fact that same artwork tastes totally different by a condition of myself. If you could, what would you say to yourself 30 years ago, about your musical career? What quality do you most empatize with in a musician? I empathize with a musician who has their own voice and words. Which living or dead artist would you like to collaborate with? Can I add one more? "Don't put your guitar in a case at home." What instruments and tools do you use? 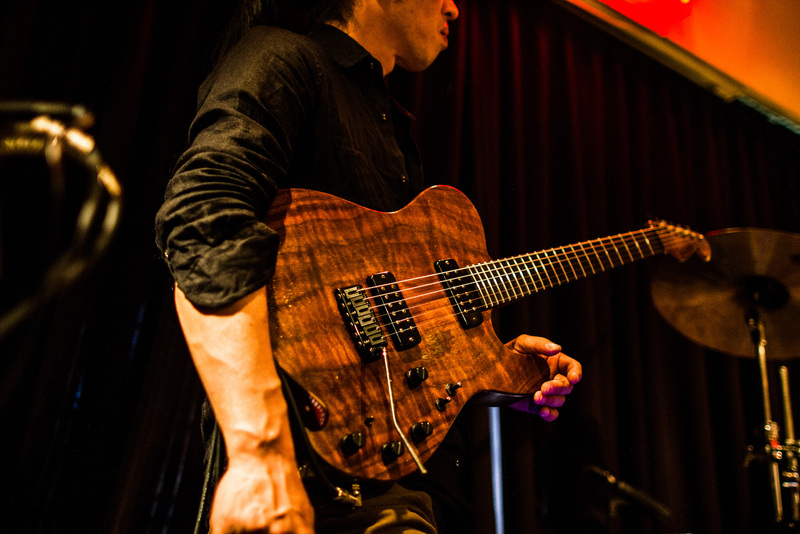 I mainly use a custom guitar made by Tone Blue, Gibson ES-335, and Lowden acoustic guitars. I love a lot of delay pedals. What is the most recent musical experience that has attracted your attention? I just released a new duo album with Hugues Vincent, French cello player. It was recorded in live. We improvised all music. We gazed a same photo before the concert. Photo of one tree. My father's home is located in Fukushima, coast side near the nuclear power station. Tsunami destroyed their house. Because of the radioactivity, they can't come back to home yet. Only a tree in their backyard is still standing there. I took a picture of it. We don't mean any political thing. Music should be free from that. We just watch a same photo and then improvised. It was very special musical experience to me I must say. Title of the album became "Last Tree". I am working on the project with a great sculptor artist Susumu Shingu. I am a big fan of him since I was a kid. I had a his picture book "Strawberry" 40 years ago and I loved it so much. His book stimulated my imagination deeply and I was influenced a lot. Finally we actually met a few months ago. I believe it is a destiny of mine. We are planning a special event at his open-air museum in next spring. It would be titled "Strawberry Express". I am composing music for this. Oh dear! Isn't it exciting?